Interesting fact is that PageRank has been named after one of the two Google founders, Larry Page. PageRank and SERP are related but different terms. SERP stands for Search Engine Results Page and consists of a list of links to web pages displayed as a result of search query. The order of the listed links is determined by their SERP rank. 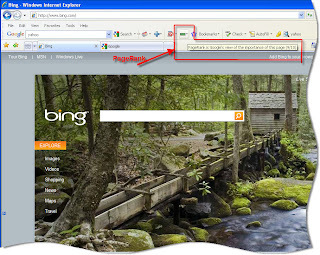 The SERP rank of a web page depends on a relatively large and continuously adjusted set of factors including PageRank. SEO (Search Engine Optimization) is aimed at achieving high SERP ranks for a website.